Having distinguished herself and recorded massive successes in an industry notably dominated by men, it is very safe to say that Xchocobars deserves all the attention and cash she makes from her career. A household name on Twitch (a smart live streaming video platform), the online-gamer is popularly known for streaming classic games such as Stardew Valley, Hearthstone, League of Legends, PUBG, among others on the platform. She also shares these games with her fans who are game fanatics. In this article, you will get to know all the facts about the pretty heavy gamer and how she launched her online career. Also, information about her family background, height, ethnicity, love life will be made available to you. Keep reading to find them all! Although she is popularly known by the moniker “xChocobars”, the Twitch gamer was named Janet Rose after her birth in Toronto, Canada, on the 5th day of November 1994. The social media blogger may have an outspoken personality but she is very reserved and secretive when it comes to matters pertaining to her family background, as she is yet to publicize the names of her parents, siblings, and family relatives. Similarly, information about her childhood and early life are also missing on the net. According to records, xChocobars enrolled for formal education in a school but she later abandoned her studies in order to pursue her online career dream fully. Sometime in 2017, she told her fans that her father underwent an emergency surgery in China and that he is already in a stable condition. xChocobars began exploring the online business in the year 2013 when she created her YouTube channel titled: xChocoBars. After a while, she went on to release her debut video on November 17, 2013. The video, which she titled: what the #@!# is going on’ has so far amassed over 6.6K views and counting. Over the course of her thriving career, the online sensation basically engages her mammoth fans with her captivating League of Legends live streams, which she broadcasts from her Twitch channel titled: xChocobars. The star’s Twitch self-titled account regularly features her macro skills which she uses to increase her fan base and followership. The account, so far, boasts over 400,000 followers and more than 12 million video views. Being a phenomenal Twitch star, xChocobars was a member of the diamond league during the patch of League Of Legend’s 2018 season. Recently, she went into partnership with an online monthly subscription service firm in Tokyo Japan Crate. Janet Rose receives Japanese snacks, candy, and drinks from the firm on a monthly basis. Born with the zodiac sign Scorpio, Xchocobars is of Asian descent while her nationality is American. The Canadian-Chinese star speaks Shanghainese fluently but cannot read or write in the language. Her family reportedly lives in China, which is presumed to be the place she was raised up. Is She Dating, Who Is Her Boyfriend? 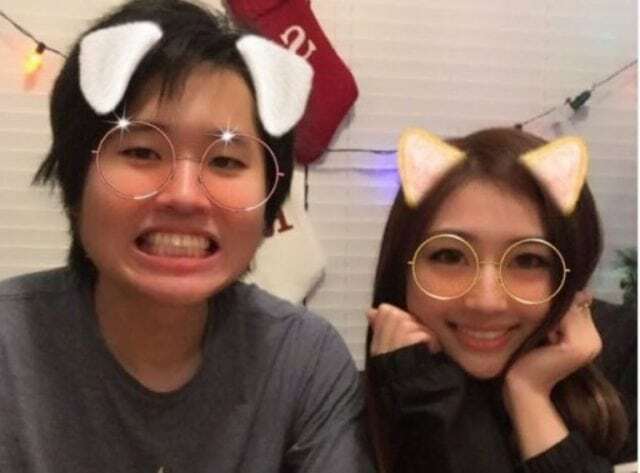 The League of Legends star has a boyfriend called Jeremy Wang, a popular and creative YouTube star. Wang is best known by his professional moniker ‘Disguised Toast’. He is a well-known Hearthstone gaming personality on the video-sharing website. xChocobars and Disguised Toast began dating in 2018 and have been remained inseparable since then. At the moment, the couple has not been caught in any form of scandal and there are no signs they are heading for a separation. Simply put, the sweethearts are meant for each other. The Twitch guru often shares pictures of her boyfriend with her fans on Twitter as well as on other social media outlets. In addition, the YouTube sweethearts also play games and spend quality time together. On June 1, 2018, the Toronto-born beauty, in collaboration with Jeremy, streamed the indie farming simulation RPG, Stardew Valley. In the video, the couple showed their perspectives while playing the game. xChocobars’s Height: How Tall Is She? The online-gamer stands at a height of 5 feet 6 inches but her weight is yet to be publicized. While other details about her body measurements are not listed online, you can easily tell from her looks that she is in good shape.